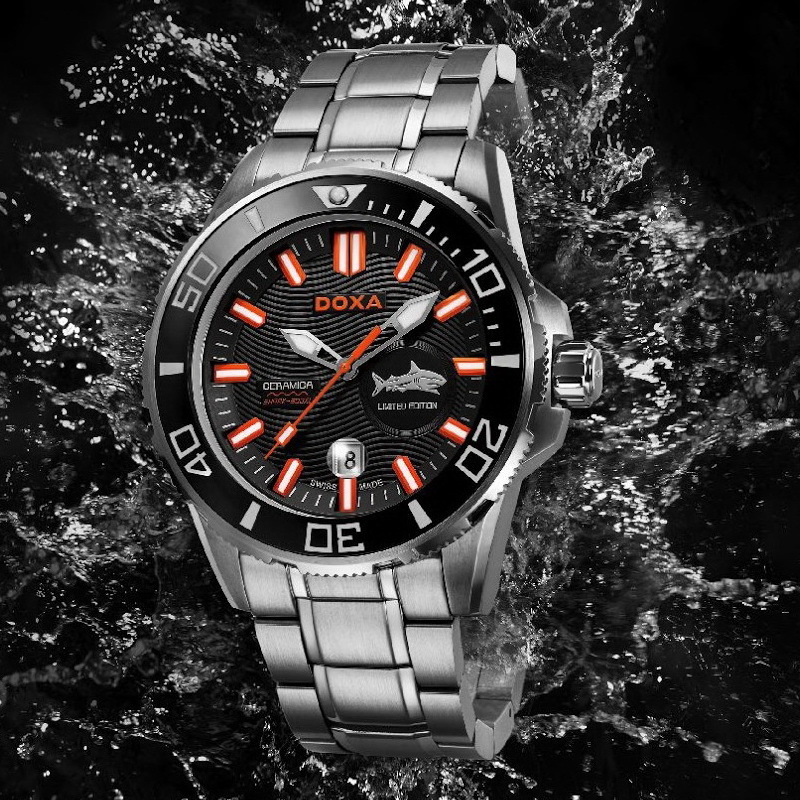 By TLex Here's a new 'Doxa-in-Asia' diver due for release at Baselworld later this week. The new Shark Ceramica XL 'Into The Ocean' comes withe either a black dial with silver / white markers and blue reflector ring or with orange markers. It is a Limited Edition of 1,200 pieces. Its Stainless steel case has a diameter of 48mm. It boasts a Sapphire crystal and a uni-directional rotational divers bezel with a ceramic insert. It has water-resistance of 300 meters. The watch is powered by a Swiss made automatic Sellita caliber. It comes on a Stainless steel bracelet. Another tasteless Chinese version of Doxa...Or should I say Walca Far-east?